MAAYAN SCHNEIDER was born and raised in Israel, to an Israeli-Tunisian mother and an American father. She is sometimes considered a bit too American (read: polite) for the Tunisian side of the family, as well as too Israeli (read: outspoken) for the American side. However, she loves both families and both cuisines – and spending her high school years in Atlanta, GA, made her appreciate fried okra and biscuits as well as couscous and hot dogs. 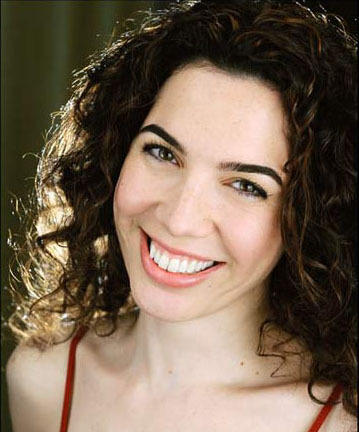 After serving in the Israeli army for two and a half years (mandatory service), studying French and Theater at the Hebrew University of Jerusalem (two majors guaranteeing a job in today’s competitive market), and travelling around South America, Maayan decided to pursue her real passion and moved to New York to study Acting at the Neighborhood Playhouse – and never looked back. She has appeared at New York’s Abingdon Theatre Company, Ensemble Studio Theater, Primary Stages, The Kraine Theater, Theater Three, The Bridge Theater, and many others, as well as in various Independent and Student films. Please check back here for updates on Maayan’s latest theatrical and other whereabouts!